The end of marriage is never easy. Emotions run high, and at times, dilute common sense. Whether you have children or not, a large estate or not, it is important to have an advocate to explain and protect your interests and rights. We have years of experience prosecuting and defending divorce actions and we will do everything possible to insure that your action is conducted in a manner most beneficial to you. The most common question asked in connection with a divorce is "will there be alimony?" Just like most questions of law, there is no black and white answer here. 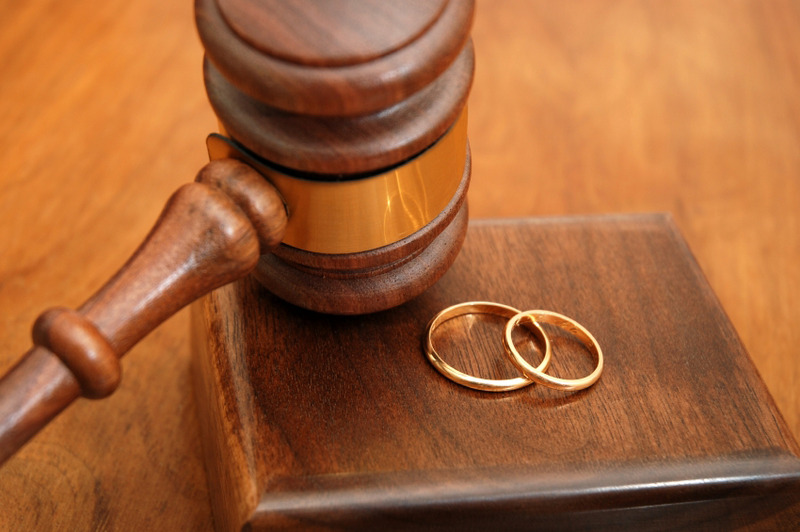 Should your matter go to trial, the Court will review all circumstances and factors before deciding upon alimony. The standard used by the Court is a determination of whether each party, for the most part, is able to maintain the current standard of living following the divorce. No one expects a fixed income to support two households in the same fashion in which one was once supported. But the parties, especially a non-working party, has the right to maintain, to some extent, the same lifestyle to which he or she has become accustomed. Sometimes this is impossible, but this is the standard aspired to by the Court in these matters. It's important to note that there is no definite formula for making an alimony determination. If the marriage subsisted for more than 10 to 14 years, there is a good possibility that there will be an award of permanent alimony. Very generally, that award will be approximately one third of the difference between the income of the parties. But this is certainly not a rule, and the Court deviates from this analysis frequently. In shorter term marriages, the Court may award "rehabilitative alimony," which is alimony for a set duration, intended to permit the party with the lesser income time to establish greater earning potential. But again, everything is fact specific, and there are no rules in making these determinations. Child support is different. The Supreme Court of New Jersey has developed specific guidelines used to determine the amount of support payable by each party. Gross weekly income is input into a complex computer program, along with other factors, such as work-related daycare expenses, the number of nights that the children spend with each party, insurance costs, etc. The program then provides the amount of support required of each party. Generally, barring unusual circumstances, the Court will not deviate from these numbers. You should know that most divorce actions settle prior to trial. If the attorneys and/or parties cannot reach an amicable resolution, the Court will schedule an Early Settlement Panel. During this hearing, a panel of experienced matrimonial attorneys from your county will listen to the facts of your case presented by the attorneys and make recommendations for settlement. If the parties agree, in most cases, the divorce is made final on that same day. If the recommendations of the panel are not accepted, a trial date is scheduled. Following divorce, in light of significant changes in circumstances, the Court may be willing to adjust a child support or alimony award. This is done by application to the Court under the same docket number used in your divorce action. If you find yourself in need of advice concerning your marriage or your children, please feel free to call for a free consultation.